This is The Digital Story Podcast #538, June 28, 2016. Today's theme is "Chicago Takeout." I'm Derrick Story. During my week in Chicago, I've learned a lot of things, talked with many people, and have taken many, many pictures. For those of you who joined me here, you know it was a rich, memorable experience. For those who couldn't make it, I have a takeout order for you. And that's the focus of today's show. I have an hour left before I have to check out of the Travel Lodge on Wabash in downtown Chicago. You'll hear the grinding wheels of the train in the background as it rolls by my window. And I'm sure housekeeping will tap tap tap on my door at least once. But before they reclaim the room for the next visitor to this great city, I want to share a few of my favorite moments from my week teaching at Out of Chicago. 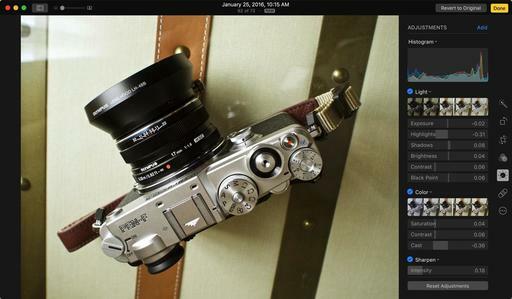 The State of Mirrorless - Olympus, Panasonic, Sony, and Fuji were all sponsors and here showing their wares. But what really impressed me is that nearly all of the speakers and a large percentage of the attendees were carrying mirrorless cameras. Mirrorless is alive and well, and it's thriving in urban photography. Packed Sessions for "Beyond the Pixel, Your Photography as Art" - I thought that my talks on going from digital capture to inkjet print would go over well, but I had not ideal that I would pack a double classroom, not once, but twice during the conference. I began the story with a silver gelatin print that I had made in 1988, and described my journey with printing. I then walked through a demo for making fine art greeting cards with Lightroom or with Photos for OS X. The Nimble Photographer Workshop - I debuted this workshop in Chicago because I wanted to see how a one-day event would go. Based on my experience, I will be repeating this workshop in the future. My favorite parts where "What's in my Bag" by participants, and the MacGyver session. Film is not Dead - I totally enjoyed conversation after conversation where someone was telling me how they dug out their film camera from the closet and are planning shoots with it. Everyone one of them said that theAnalogstory was their inspiration. Midwest Photographers - Of all the great things that happened this week, meeting dozens of members of our virtual camera club who work and shooting in Illinois, Minnesota, Wisconsin, Michigan, Iowa, Indiana, Kentucky, and throughout the heartland of our country, was the biggest thrill of all. The 'Warm-to-Cold Fader' Puts Color Temperature Control Onto a Filter via PetaPixel. If you like to physically control as many of the settings on your camera as possible, the ICELAVA Warm-to-Cold Fader is right up your alley. This neat little lens accessory puts color temperature control onto a variable filter you simply twist to adjust. Color temperature isn't something we think about much these days, given how easily it's adjusted in post (you ARE shooting RAW right?). But having a physical filter that lets you warm up or cool down your image gradually could definitely come in handy. We have some great news to share today. Next to releasing Hedge 1.3.2 with some small improvements and fixes, we also have a bigger thing coming: Transfer Logs. Transfer Logs Beta - We've been working hard the last few weeks to add a new Feature to Hedge Beta: the much-requested log files. Now it's also possible to see which files were copied, when they were copied, and what the source and destination hashes are. Give Hedge 1.4ÃŸ a go. Let us know what you think, so we can make it even better! Free Test Ride - Not sure how much Fast Lane and the other Premium features will help you? We now have a week-long license available for you. Yep, it's free. We've just released, Flickr Mobile: Sharing Photos Anywhere. I had so much fun recording these movies, working only with my iPhone, iPad and Android tablet. It was a true nimble-rush. And I think you'd enjoy watching this training. You can get your eBook copy of The Apple Photos Book for Photographers for $15 by using the checkout coupon: APPLE15. That saves your 5$ off the price. inkdot Metal Prints Brilliant, affordable, and archival. Visit ink dot.com/metal-prints today. To tell you the truth, I'm still astounded every time I mount the Olympus ED 40-150mm f/2.8 PRO Lens to my OM-D E-M5 Mark II and look through the viewfinder. I'm suddenly placed right in the middle of whatever action I'm photographing. 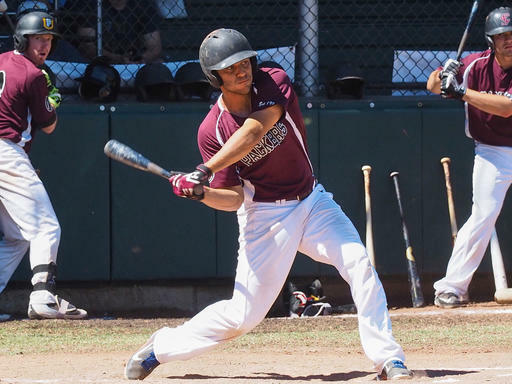 College Baseball in Healdsburg, CA - ISO 800, 1/1250th, f/5.6 - Photos by Derrick Story. The 40-150mm focal length mounted on the E-M5 Mark II gives me an effective view of 80-300mm. I then set the file format to Jpeg Super Fine, and use the digital doubler to increase the magnification to 160-600mm. And because of the outstanding 5-axis image stabilization, I can shoot handheld. Most of the time I'm leaning on a fence or railing to help me steady the shot. And then, when I want to shoot candids, I can back everything off, shoot at 40mms, and have a fast-focusing f/2.8 street shooting optic. So, only when I need a wide shot, do I have to change lenses. All of this comes in a package that only weighs 31 ounces and measures 3.13" x 6.30". But once you extend the lens hood, you have a very respectable tele that measures up against any of the other rigs on the ball field. And this is why I'm so impressed each time I use the 40-150mm. I truly have the best of all worlds. A reasonable sized, handsome optic that can deliver between 80mms and 600mms of magnification at the ball park. The focusing is fast and accurate. The quality is outstanding. What's not to like? All I need now is a dog and an ice cold beer. This is The Digital Story Podcast #537, June 21, 2016. Today's theme is "Five Things that We Forget (but shouldn't)." I'm Derrick Story. The reason I start packing my camera bag a week before a big trip is to prevent my forgetting something. I figure that over the course of 7 days of use, I'll know what's missing, and maybe just as important, what's not necessary. There are times, however, when I still come up short. And when I do, these are the 5 items that typically I forgot to bring. Ironically, over half the time it's not camera that I forget to pack in my shoulder bag. Let me explain. Business Cards - This is one of the most common forgotten items, not only by me, but by those I come in contact with on the road. Business cards are vital on the road for photographers, especially when we promise someone a photo that we captured of them. Pain Reliever - They take up so little space, can be so important while traveling, and yet when I reach for them, they are often not there. I keep my pain reliever pills in a Compact Flash card case. It takes up oh so little space, yet is a godsend when needed. Joby Micro Tripod - I love the JOBY Micro Tripod that takes up virtually no room, but can stabilize my mirrorless cameras. It costs on $21, but is worth 10 times more on the road. Card Readers - Yes, my Mac has a built in card reader and I can send images wirelessly from my camera to my iPhone. And yet, there always seems to be a problem with this while traveling. I carry both the Lightening SD card reader and a Lexar micro SD reader. And they each have saved me numerous times. Polarizer - I finally broke down and bought a polarizer for each of my active camera bags. It seemed when I had only one, it was always in the other bag. 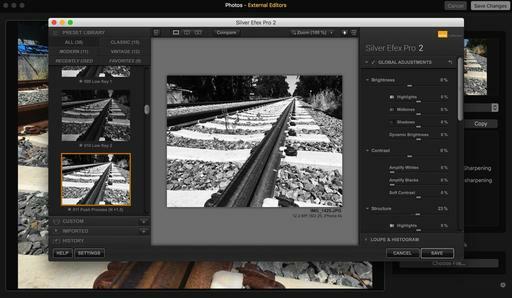 This is the most useful filter for both digital and analog photographers. What items would you add to this list? Please share them on our TDS Facebook page. This Simple Plugin Lets You Post to Instagram Directly from Lightroom via PetaPixel. The LR/Instagram plugin does exactly what you think it does: it lets you post images to Instagram directly from Lightroom. No need to export and use some third party Web client or get the photo onto your smartphone. Once you install the plugin and authorized your Instagram account (or several accounts), you're good to go. Simply drag the photo into the publish collection that matches the IG account you want to post to, fill in caption and tags, have the plugin crop or pad your photo to fit Instagram's parameters, and hit Publish. The LR/Instagram plugin is 100% free to download and try, the makers simply ask that you show your support by registering it for $10 from Lightroom Plugin Manager if you like it. It's compatible with Lightroom CC/3.0 and higher, and works for both Windows (XP or later) and Mac OS X (10.7 or later). Printed on a gloss white metal surface creating a stunning vibrancy and depth to your images. Metal print are printed using a process that infuses your image into the white coated aluminum, which creates a depth you simply cannot get with traditional printing techniques. Our metal prints come ready to hang right out of the box. Each print comes with a mounted hanging unit on the back and special hanging hook. No drilling or hammering required, simply push the pin through the wall and hang. Metal prints are water, scratch and UV resistant, ensuring your memories stay as gorgeous as they day you got them. Quick turnaround, orders ship in 1-2 days. You can learn more by visiting ink dot.com/metal-prints. You can get a 12" x 12" print for $65. And sizes go all the up to 30" x 40". On June 22 Hasselblad is rumored to announce a new camera that most likely will be mirrorless and contain a 50MP CCD full frame sensor. You can watch the lifestream of the announcement by going to this link. Flickr Mobile goes well beyond just taking pictures with your smartphone. 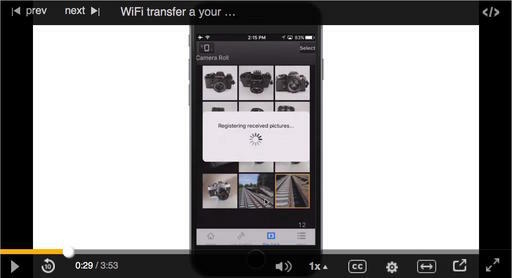 The workflow extends to using your WiFi-connected camera too. The images that you capture with that device can be automatically backed up to your Flickr Camera Roll. There are a couple things I like about this workflow. First, I'm not limited to using a smartphone for my photography. In the case of this demo, I have a Panasonic LUMIX GM5 connected to my iPhone running the Panasonic app. So I can use all of my Olympus and Panasonic lenses to get exactly the shot I want. When I transfer the images wirelessly from the GM5 to the iPhone, Flickr sees them and automatically backs them up to my Flickr Camera Roll. This leads to the second thing that I like, which is automatic redundancy. At this point, I have the images on the camera's memory card, the iPhone itself, and online with Flickr. I didn't have to think about any of this. It just happens. Here's a video demonstrating the process from my Flickr Mobile: Photo Sharing Anywhere online training. These images are also available for sharing online. When they're first uploaded to the Flickr Camera Roll, they're marked as private. So only I can see them. But for the shots that I want to share via my Photostream, I simply change the image from private to public, and it's instantly available to the world. This is a great workflow for travel. It works with any WiFi camera and Android or iOS device, as long as there is WiFi available. 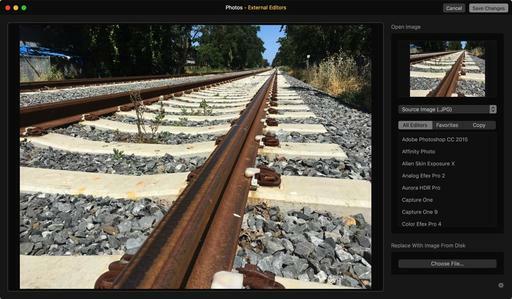 The 1.1 version of External Editors, a must-have 99-cent editing extension for Photos, continues to drive this application in the right direction. Version 1.1 of External Editors brings a new interface and nice improvements. When I first wrote about the app in February, it didn't have a mechanism for handling RAW file transport. But version 1.1 features many refinements, including being able to convert RAW files to Jpegs or Tiffs in the extension itself. This leads to many possible workflows. The one I've been using goes like this for RAWs. In Photos, duplicate the RAW file and name it as an external edited version. Open the duplicated RAW in External Editors and use the Convert To command to change it to Tiff or Jpeg. Send it to the processor of your choice and edit. Save the file and return to Photos. Silver Efex Pro 2 running with External Editors and Photos. The edited Tiff or Jpeg will be positioned next to your original RAW in the Photos library. You have other workflow options, such as Replace with Image from Disk. It's worth playing with to find the sequence that works best with you. Because the bottom line is this: Exernal Editors opens up all of your image editing tools to your Photos library. And dont forget... For hands-on tutorials, be sure to take a look at Photos for OS X Essential Training on lynda.com. 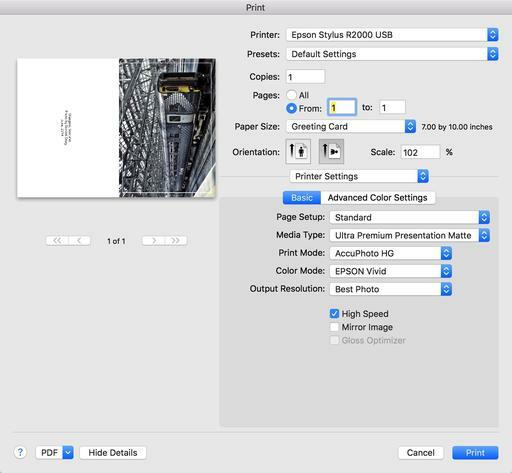 I cover everything you need to know to get the most from this surprisingly powerful image management application. 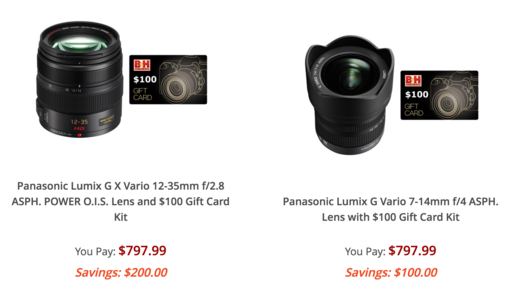 If you're looking to up your mirrorless game, you might want to take a look at the Panasonic Lens Sale at B&H Photo. Nine very nice optics with discounts between $50 and $200. 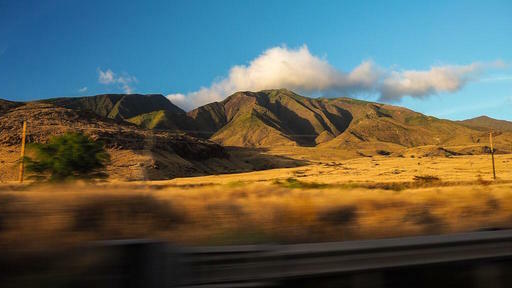 The timing could be perfect if you're planning a photo vacation this summer. 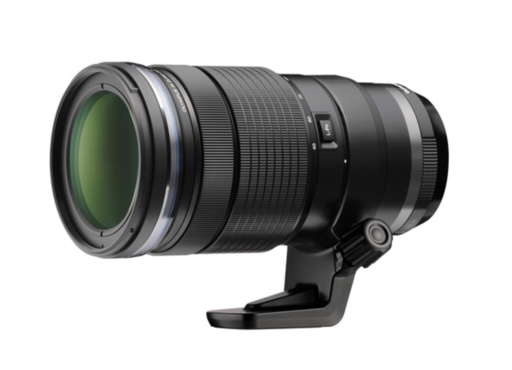 And if you're an existing B&H customer, check your e-mail inbox (or promotions tab) for an note titled "B&H Exclusive: Panasonic Lens Promotion Total Savings up to $350." They've sweetened the pot even more. That super-special offer ends on June 18. Flickr on the desktop is useful. But firing it up on your iPhone or Android device is a blast! 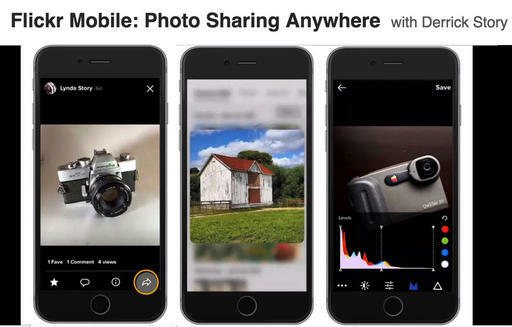 And I show you why in my latest lynda title, Flickr Mobile: Photo Sharing Anywhere. In this title, you can learn to use the mobile version of Flickr to shoot and enhance photos, share them, and explore photos taken by other community members. The app is available for iOS and Android and offers the same great features as the Flickr website, in a compact form you can take on the go. Here's a overview movie that will show you the highlights. In all honesty, I think this is one of the most enjoyable titles I've recorded lately. I think you'll really have a good time watching it. And if you prefer using an iOS or Android device for your Flickr experience, you definitely must take a look at Flickr Mobile: Photo Sharing Anywhere. It's fun and informative. This is The Digital Story Podcast #536, June 14, 2016. Today's theme is "macOS Sierra for Photographers." I'm Derrick Story. Last week I wrote a piece on The Nimble Photographer titled A Moment of Truth for Photos. My feeling was that Apple had to step up to the plate with something interesting for this app. And indeed they have. We'll focus on Photos and other photography goodies in macOS Sierra on today's show. Apple announced macOS Sierra during Monday's WWDC keynote address. 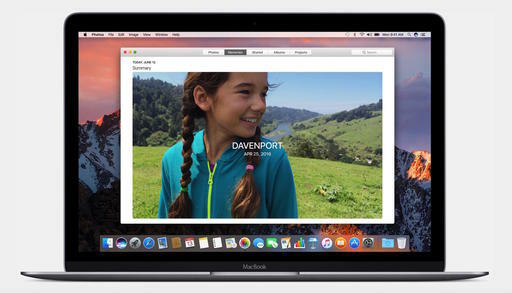 The latest operating system has a number of goodies for photographers. Here are the highlights. Live Photos Editing - The Live Photo Editing API allows third-party editing extensions to apply edits to an entire Live Photo, while retaining the motion and sound of the original Live Photo. 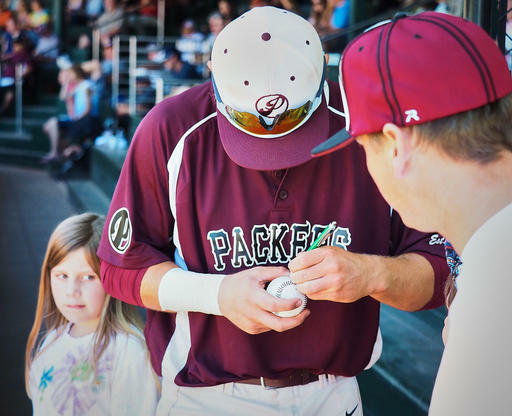 Memories - You've spent years capturing moments worth remembering. Now Photos can turn them into unforgettable experiences called Memories. And powerful new technologies make Photos even better at face recognition, let you display all your photos on a world map, and even allow you to search your photos by the objects and scenery in them. A new Memories tab appears along with the Photos, Shared, Albums, and Projects tab. In Memories, Photos for Mac automatically makes slideshows and collections of photos based on events, people, places, and more. Brilliance Tool - Perfecting your photos like a pro is now even easier with the new Brilliance tool, which pulls in highlights and adds contrast to enhance details throughout your images. Copy and Paste Between Devices - Continuity across your Apple devices also gets better in macOS Sierra. With Universal Clipboard, the contents of your clipboard are available across all your Apple devices via iCloud. You can easily copy and paste text, images, photos and video between your Mac and your iPhone and iPad. Better iCloud Integration - Seamless integration with iCloud makes everything from your Desktop and Documents folder available on your iPhone and iPad so you always have access to the files you need. Optimized Storage - Optimized Storage frees up space when your Mac starts getting full by storing infrequently used items in iCloud and reminding you to delete used app installers, and even clearing out duplicate downloads, caches, logs and more. Federighi showed a Mac with 20GB of free storage space; after running Optimized Storage, the amount of free space expanded to 150GB. I have open on my iPad right now Rocky Nook's Guide to Travel for Photographers, a free eBook just waiting for you to download. And as a cool bonus (because I do have major connections at Rocky Nook, we're giving away 3 travel book bundles to our listeners who download "Travel for Photographers." The bundle includes: Architectural Photography, Street Photography, and The Traveling Photographer. If you download the eBook, you will be automatically entered to win the travel bundle. Rocky Nook will randomly select the three winners next Monday, and I will announce on Tuesday's show. Because many users feel that Lightroom is slow on import, they are turning to Hedge for Mac because of its speed. If you're on the road, speed and reliability what counts. Then you can take care of your Lightroom when you come back home. This is particularly important for wedding and event photographers who need to protect their images and work quickly. Over the course of the day, we'll explore the gear, techniques, and philosophy that enable nimble photography. You'll learn how to lighten your load and expand your creativity. We'll then put these ideas into practice and go out shooting. And finally, nimbleosity applies to post production too. Derrick will show you ways to minimize your time in front of the computer and increase your efficiency. We have a couple seats open. You can sign up here. You can choose the workshop only, or signup for the entire conference.